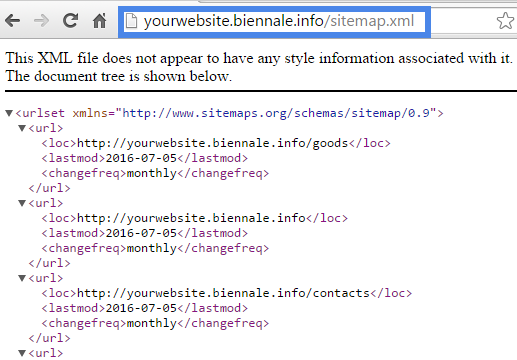 A "sitemap.xml" file is generated automatically for all published uKit websites and can be accessed by adding "sitemap.xml" to the end of your website name, for example "https://yourwebsite.com/sitemap.xml". All pages of a website are included into a sitemap. To access a sitemap in Google Search Console, enter sitemap.xml (no slash or website address is required).